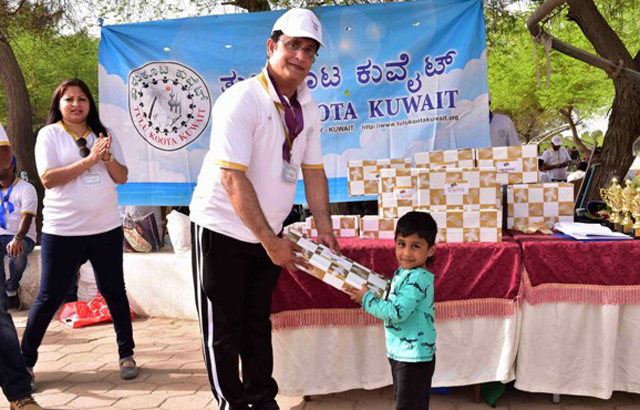 Kuwait, Mar 23: Tulu Koota Kuwait (TKK) held its family get-together and sports event on March 15, at the Mishref Garden in Kuwait. 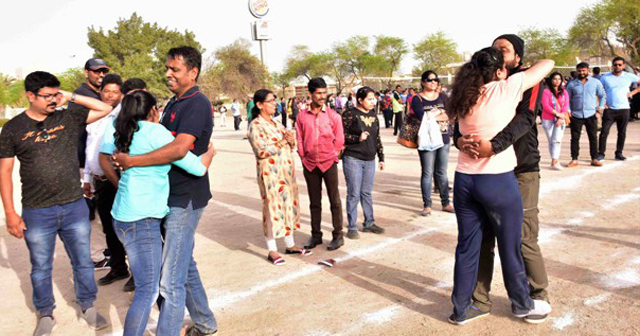 The family get-together started with a huge crowd assembled in anticipation of a fun-filled day. 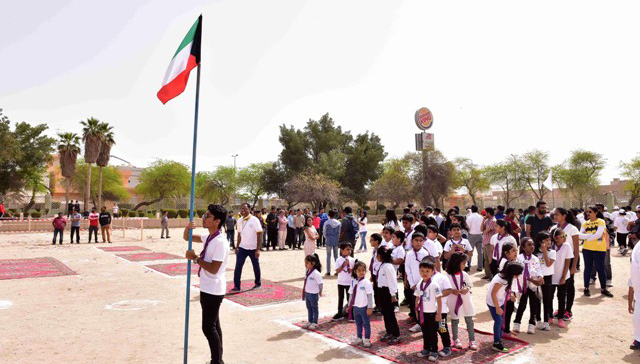 The event began with the welcome note by the hosts Manoj Shetty and Renita Mascarenhas followed by national anthem of Kuwait and India. 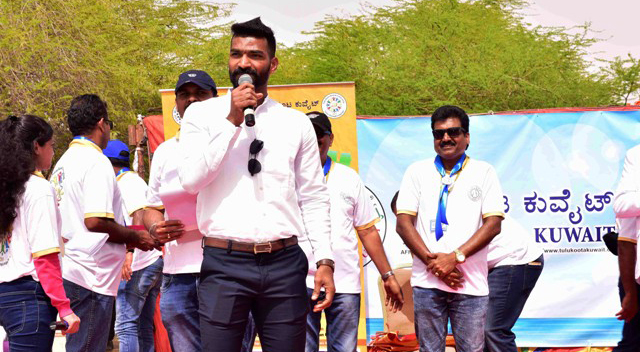 The inauguration of the family get-together was a unique attraction by the presence of special guest of honor and invitee, international Kabaddi player, Eklayva Award winner, and Karnataka Kabaddi team captain Sukesh Hegde. 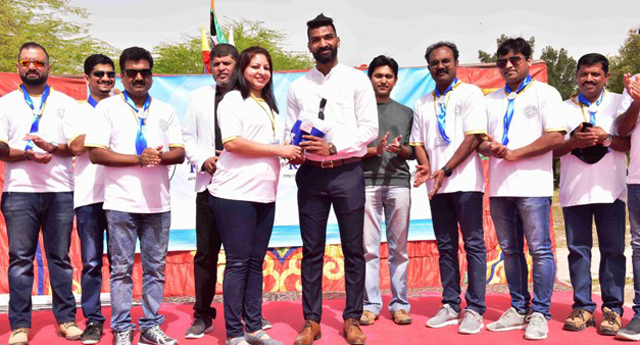 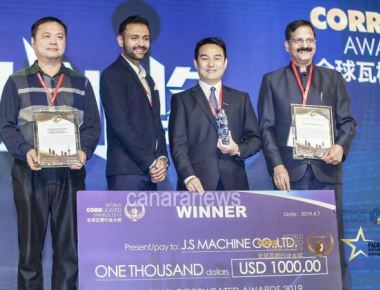 Dr S M Hyder Ali, chairman of TVS Group, John Simon, group manager of Corporate Sales and Event Marketing, Al Mulla Exchange, were the chief guests of this opening ceremony. 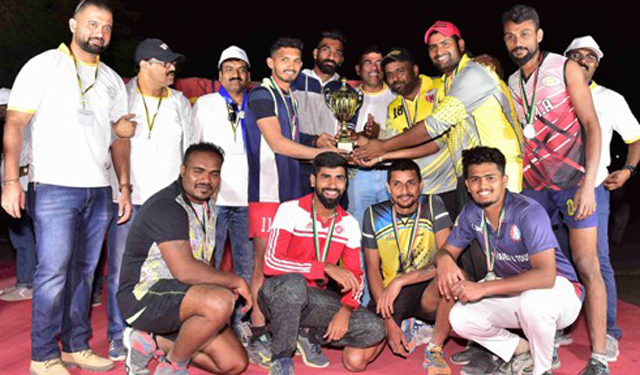 The president of TKK, Ramesh S Bhandary welcomed the distinguished guests, representatives of Twenty South Canara Associations and all the TKK members and families to this great day and briefed the reason behind conducting picnic and sports event and asked everyone to participate in all the games with sportsman spirit and create festive mood. 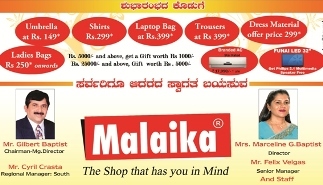 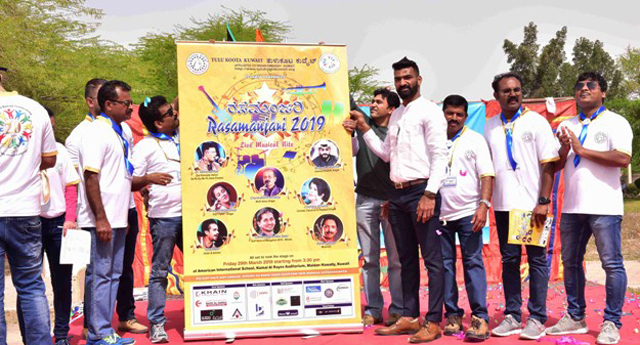 Tulu Koota Kuwait upcoming event Rasamanjari - 2019 flyer officially inaugurated during this time by the president and the honourable guests. 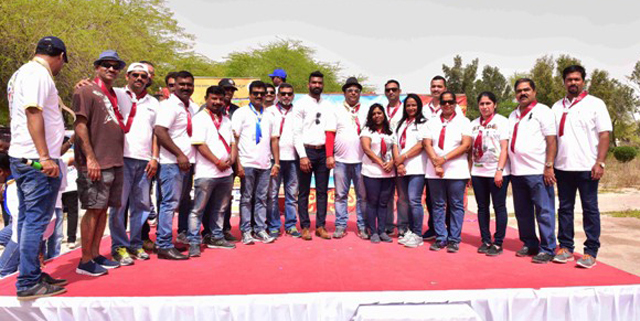 Representatives of Twenty South Canara Associations, Tulu Koota Kuwait past 20 years presidents, management committee, all committee members and children with five different flags participated in this beautiful opening ceremony. 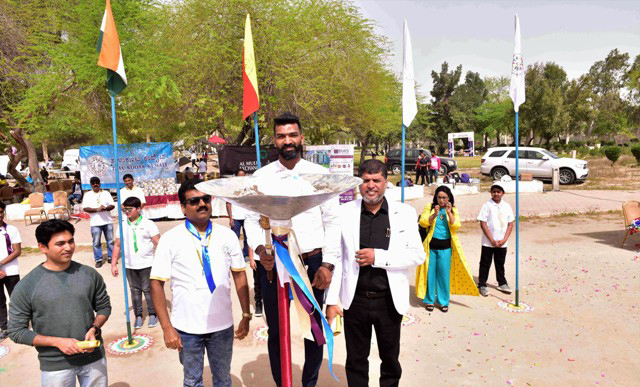 The inauguration included traditional way of breaking the coconut by sports secretary Roshan Quadras. 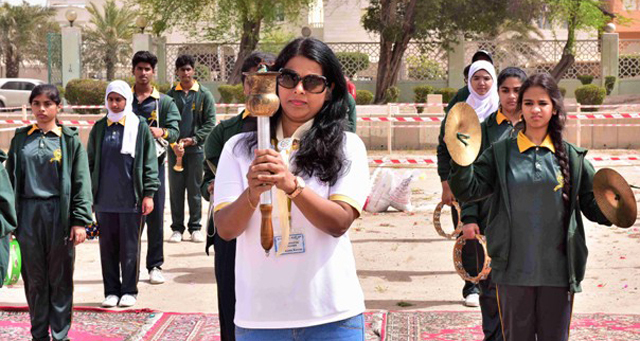 TKK first lady Anitha Ramesh Bhandary led the sports march holding the torch, followed by sports parade band of energetic school children from Kuwait Indian School Abbasiya, Kuwait. 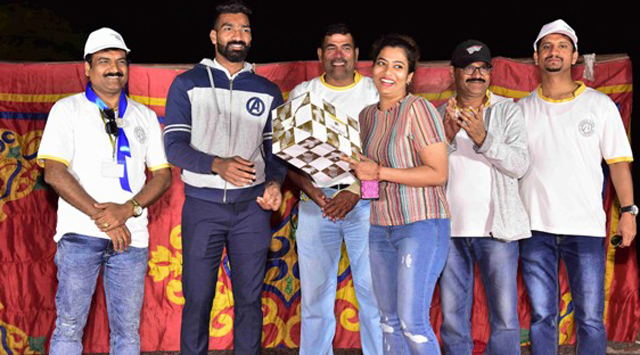 The guest of honour Sukesh Hegde was felicitated with shawl and memento for his great achievements in the field of Kabaddi sports and making Tuluva people proud at the international level. 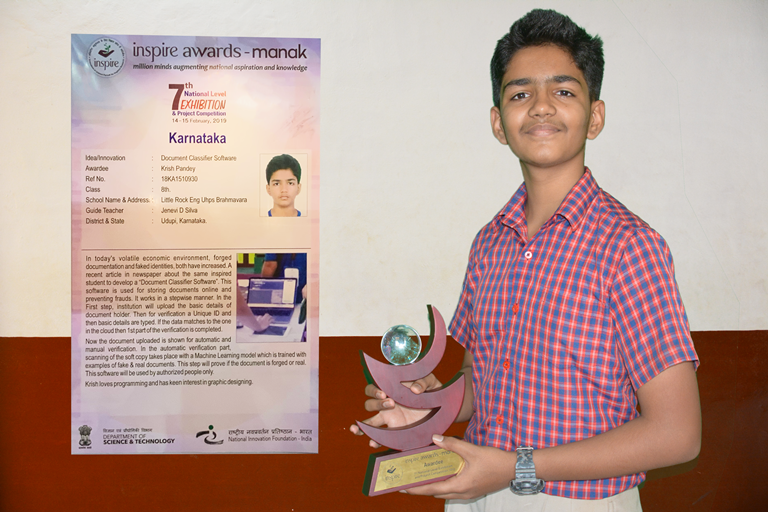 In his speech he thanked Tulu Koota Kuwait for inviting him as special guest for this family get-together and making him part of their memorable event. 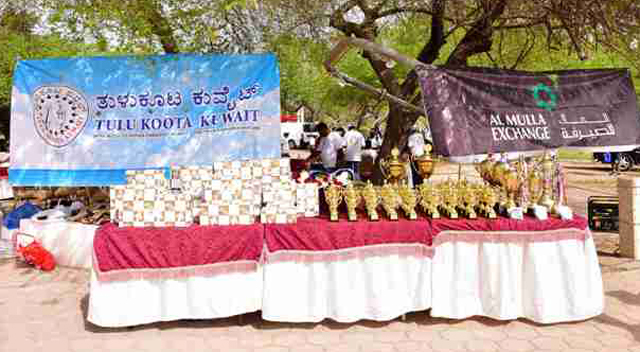 He congratulated Tulu Koota Kuwait for their tremendous work in the past 20 years in helping the poor, needy people back in Tulunadu and wished all the success in their future events and charity works. 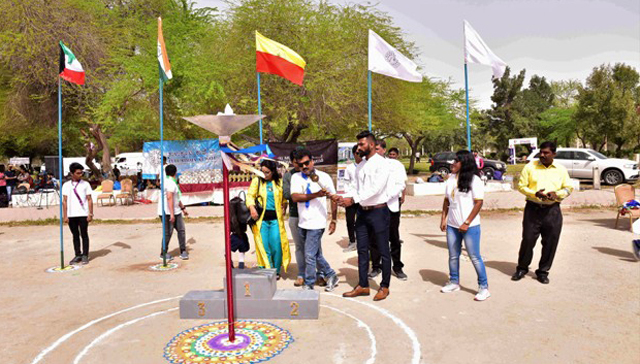 As TKK is celebrating its 20th year of Unity Through Language, the president and the committee members released TKK song symbolically which was written by Tarendra Shettigar, composed by Sharath Ucchila and sung by play back singers Aira Acharya, Chandrakanth Acharya and Dr Abhishek Kodakkal. 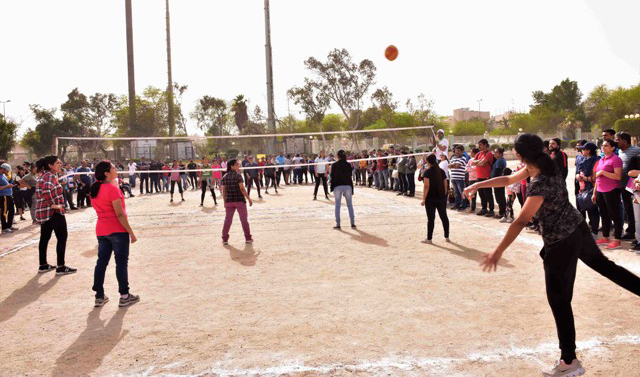 After the inauguration ceremony, it was time for various thrilling games for all age groups. 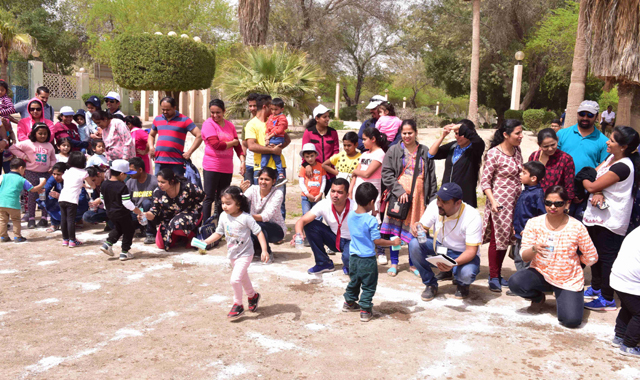 The kids of 0-2 year age group played the Lucky Winner game, and 2-4 year kids played sponge water and ball-bucket game. 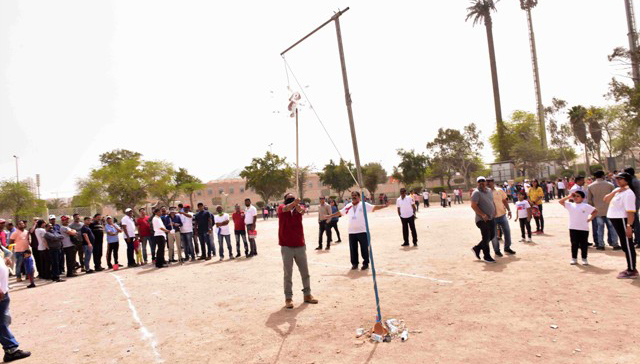 The children of age 4-6 years played balancing the biscuit and aiming the target. 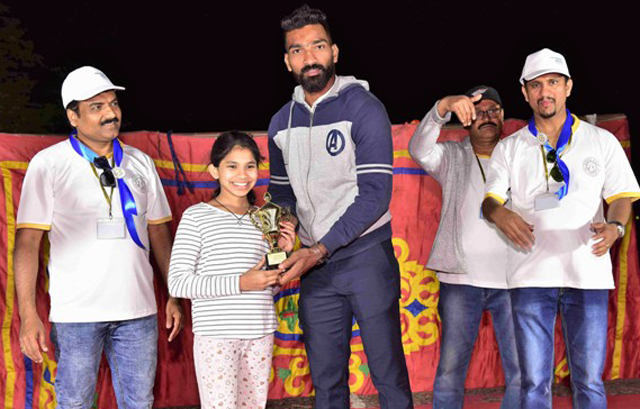 The children aged 6-9 years competed in basketball and cycle tyre race. 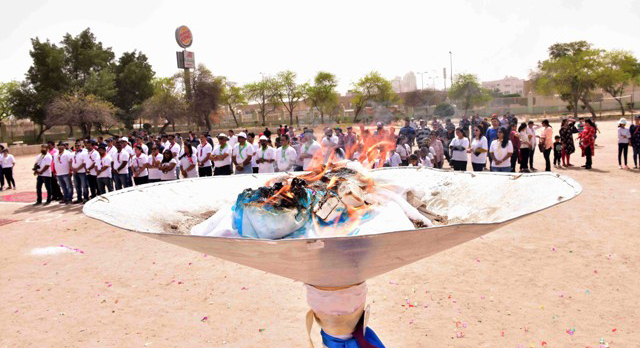 Children from 9-12 years played Lagori and Sack Run race. 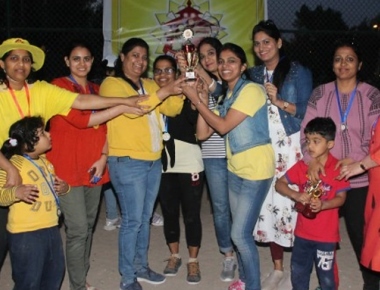 Children age group 12 to 15 years competed in balance run and bowling game. 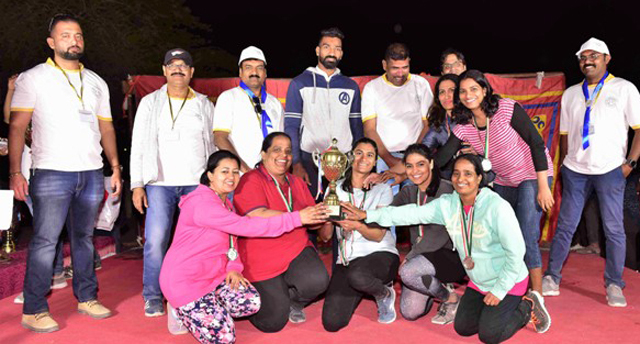 Ladies enjoyed themselves competing in breaking the pot, penalty shootout and shot put. 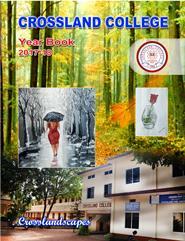 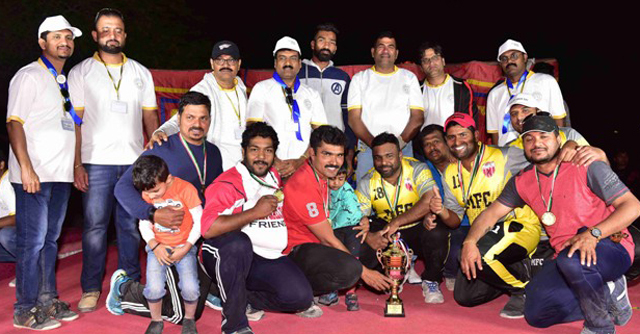 while Men showed themselves capable in playing Kutti Donne, Shot put and breaking the Pot. 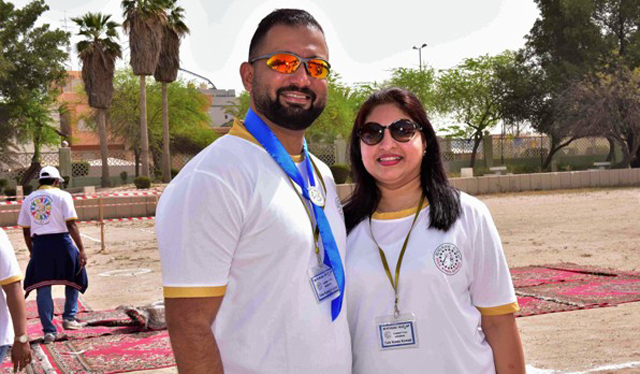 In addition to this couples enjoyed playing and competing each other in balancing the orange and Muddina Moote games. 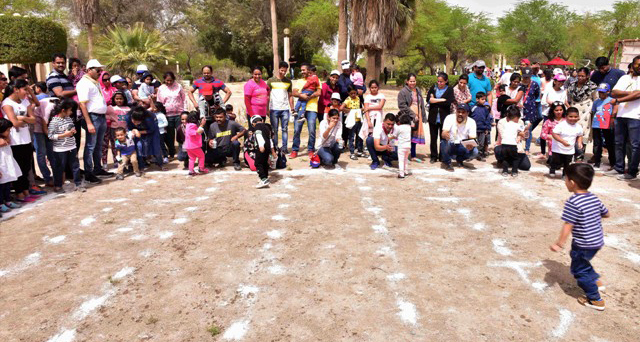 Senior citizens also showcased their playing skills in aiming the target game. 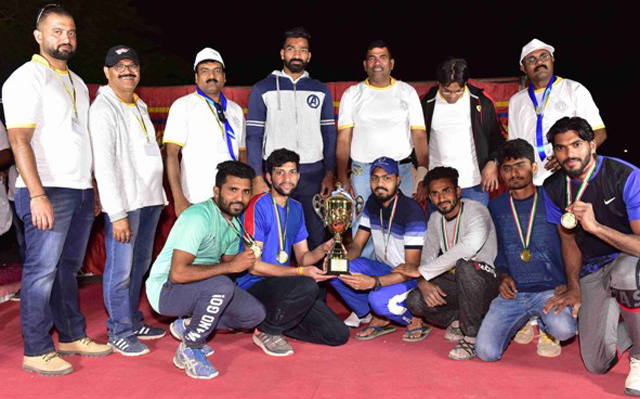 Team games such as Kabbadi, Throwball, Volleyball, and Tug-of-War were played with full enthusiasm and sporting spirit. 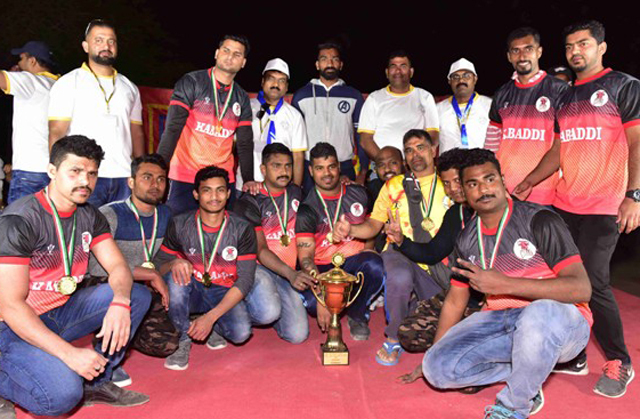 Team Kudla Bulls bagged the winner’s trophy and Team United Eagles were runner-up in Kabbadi. 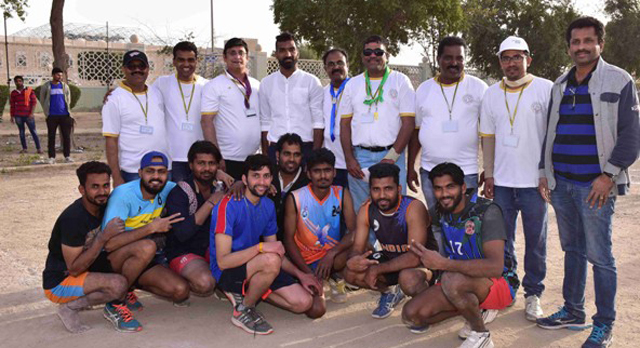 In Volleyball, United Eagles attained the winner’s trophy and MFC(B) were runner-up. 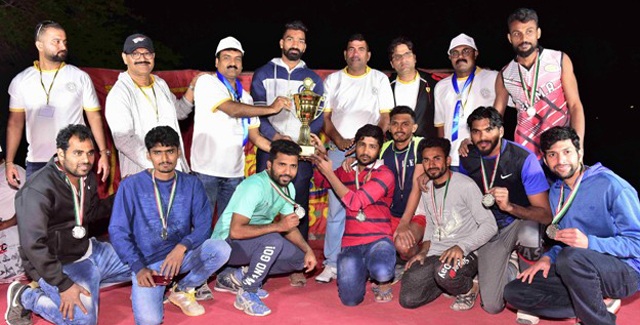 In Throwball Kuwait Friends won the first place and Kudla Friends were runner-up. 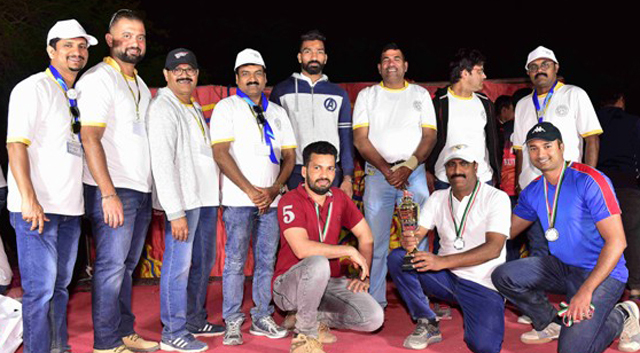 In tug-of-war men team MFC bagged the winner’s trophy and team SWAK bagged runner up. 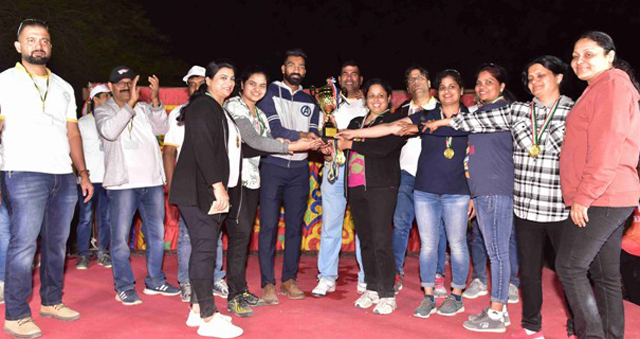 Tug of war ladies won by team SWAK and real fighters were emerged as runner up. 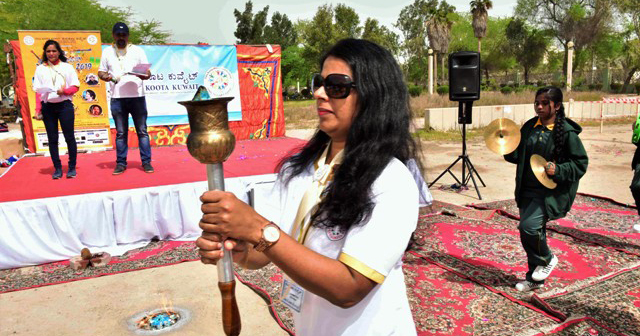 Throughout the day Mishref Garden grounds, Kuwait witnessed huge crowd of Tulunadu people enjoying and participating in different games. 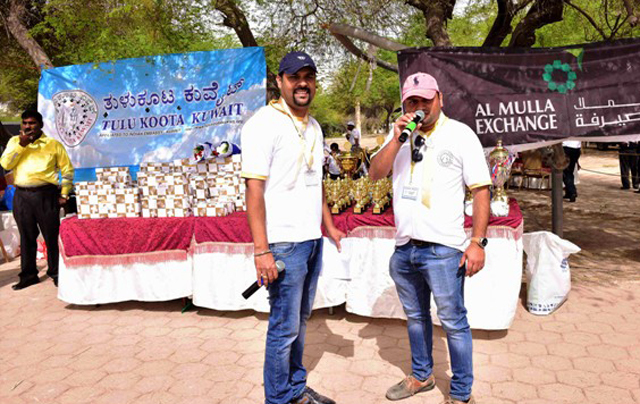 Oriental Restaurant provided delicious Mangalurean lunch, sounds and lights support provided by Anand, while Alban Dsouza captured the moments in his camera. 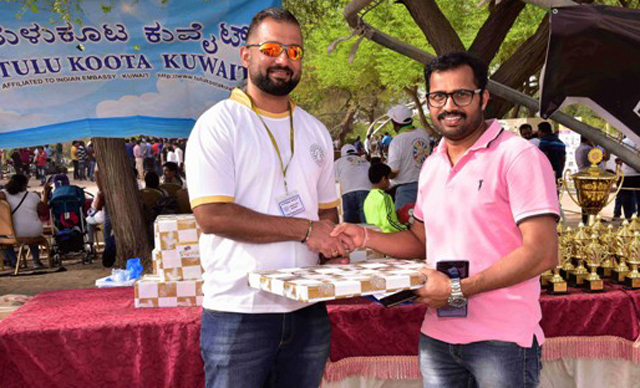 Tulu Koota Kuwait thanked its committee members for their dedicated efforts and team spirit and TKK members for their active participation that eventually led to the huge success of family get-together 2019. 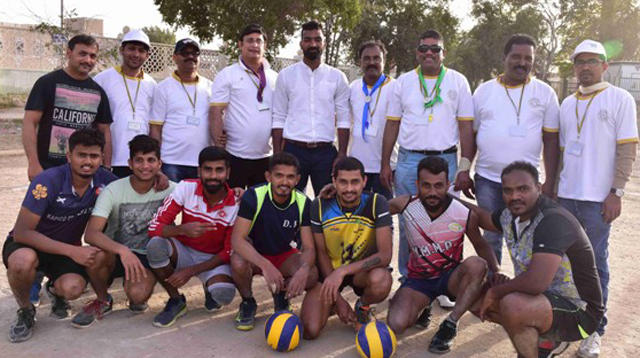 The TKK event sponsors were Al Mulla Exchange, Khain Properties Udupi, Badr Al-Samah Hospital, Al Ahleia Insurance Company SAKP and TVS Hyder Group.